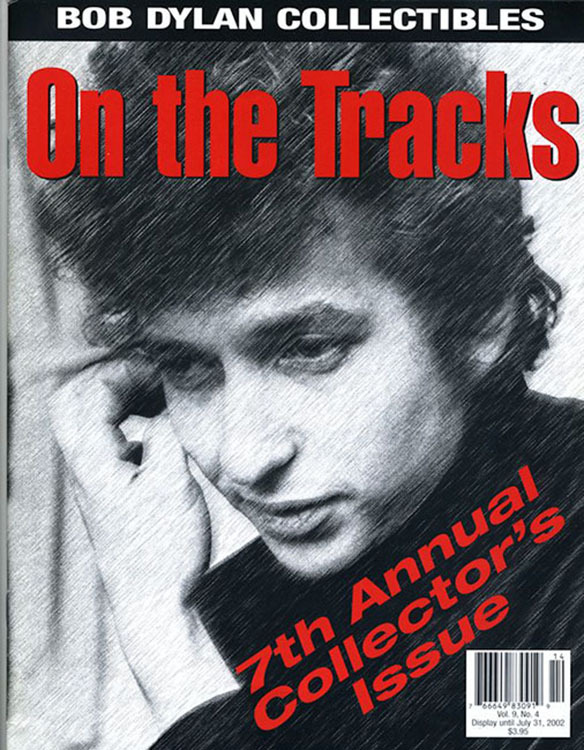 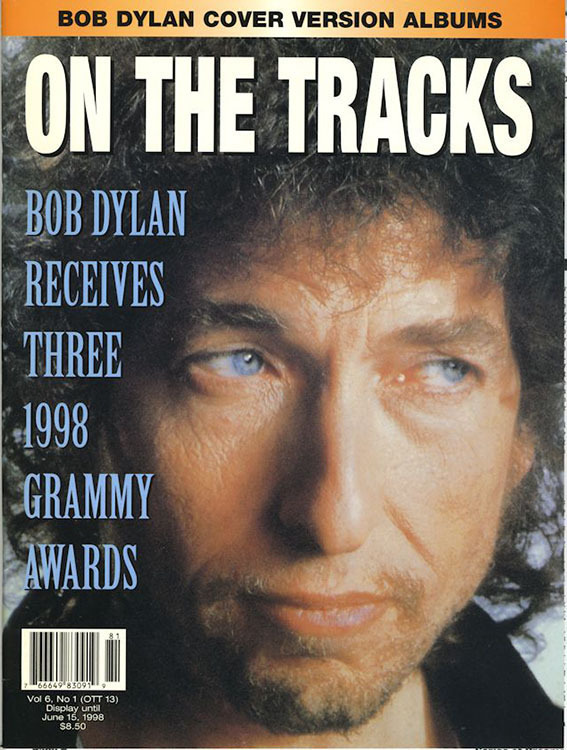 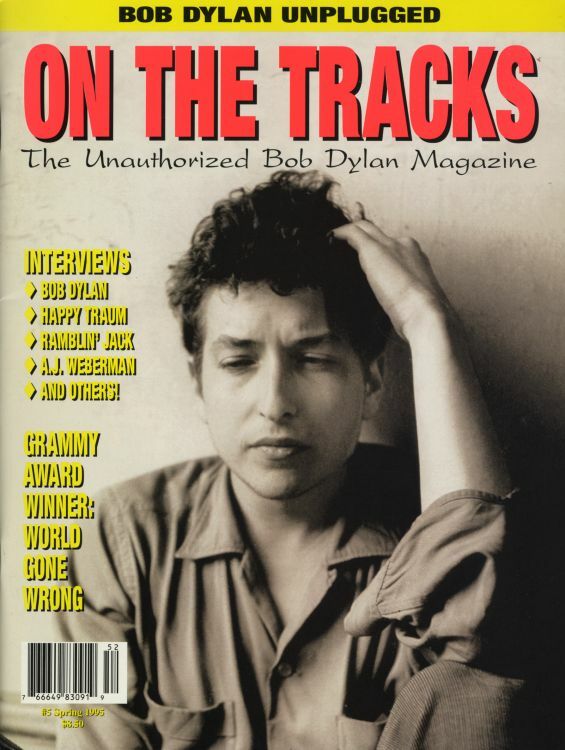 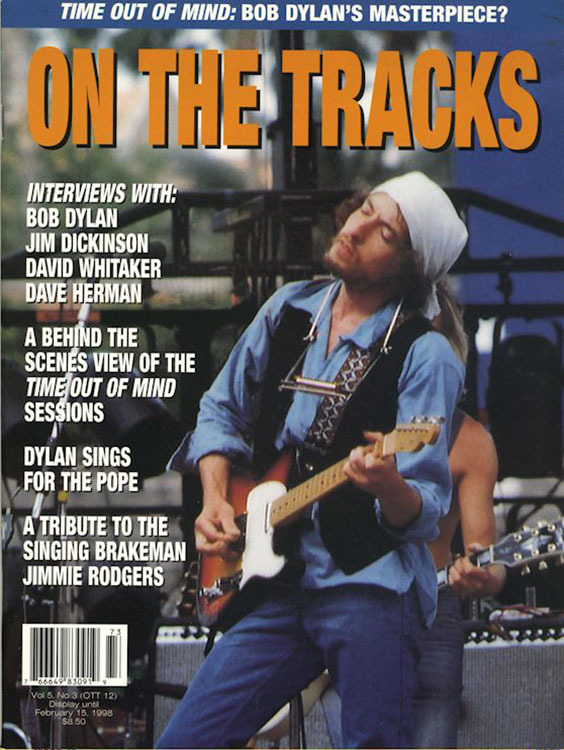 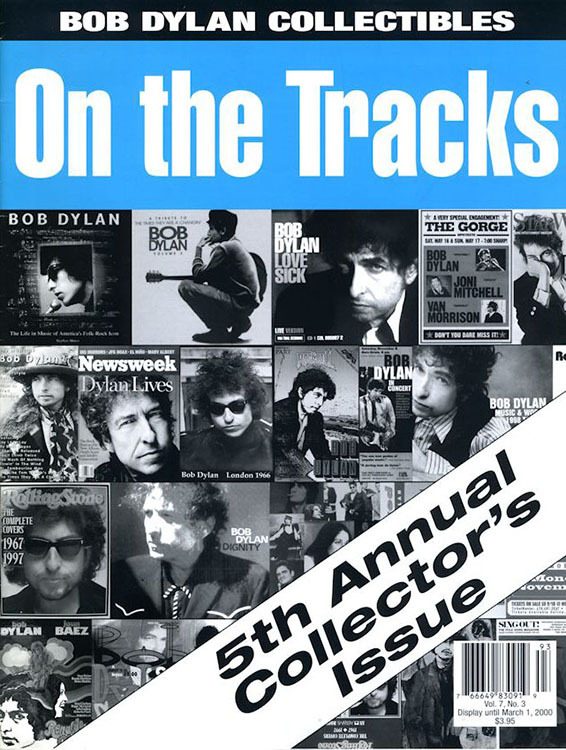 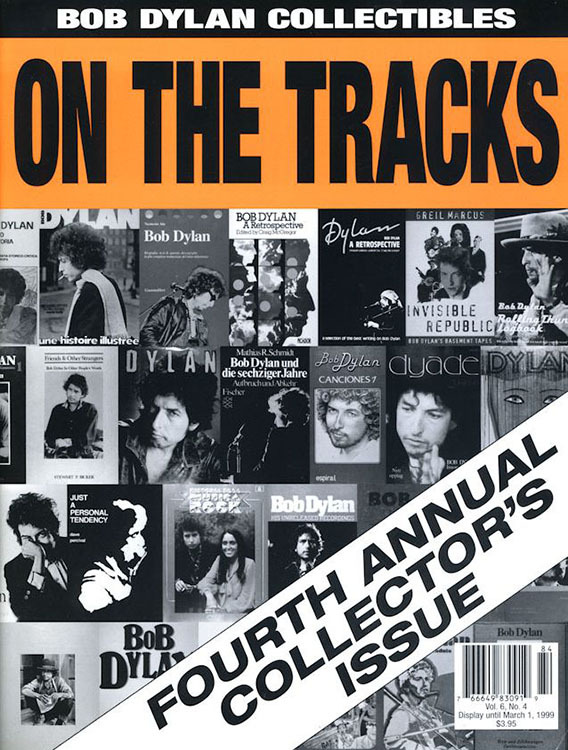 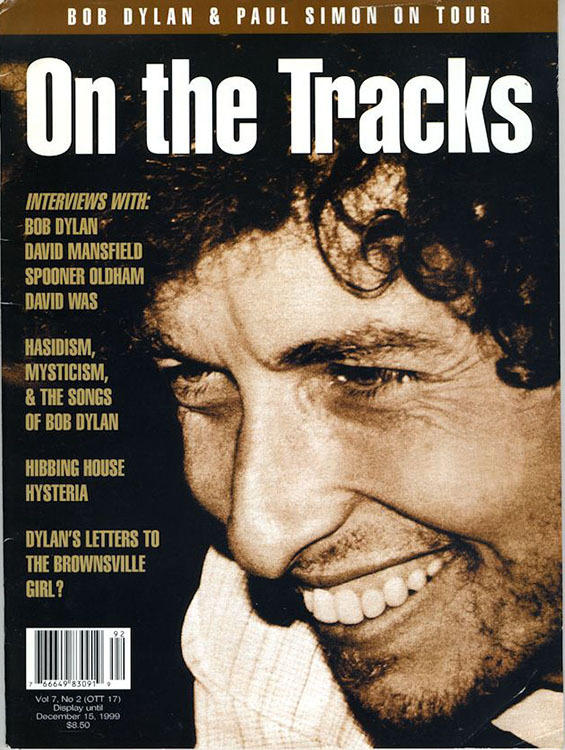 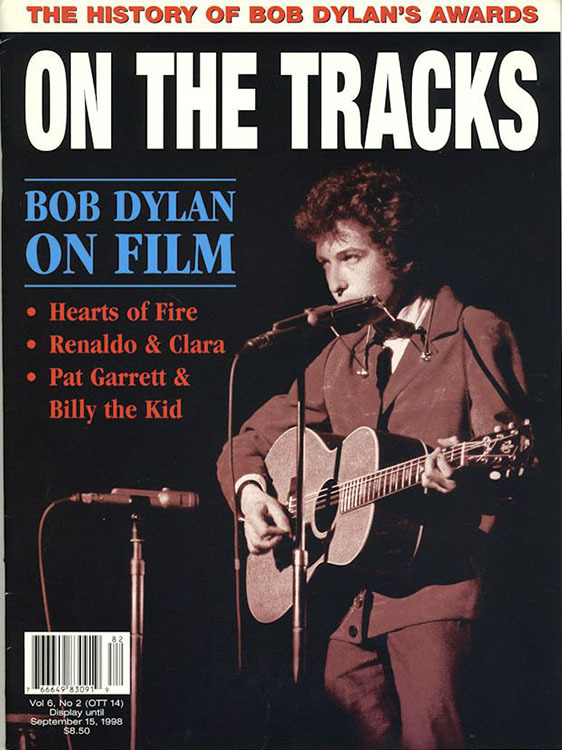 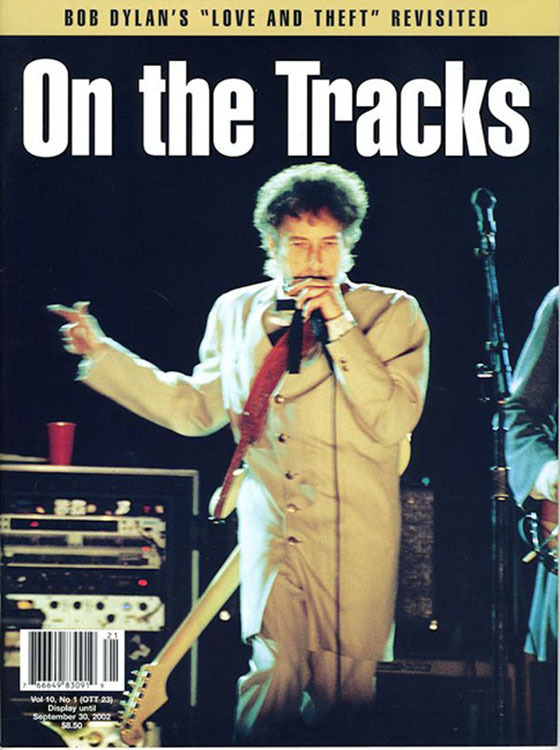 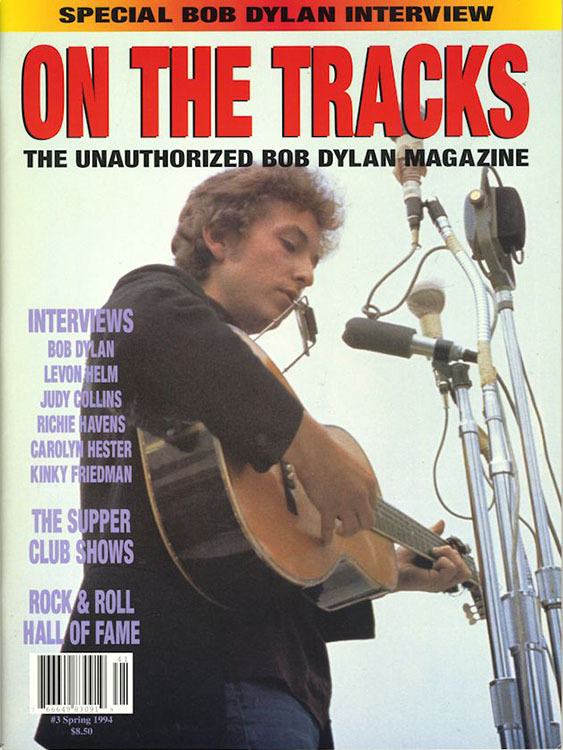 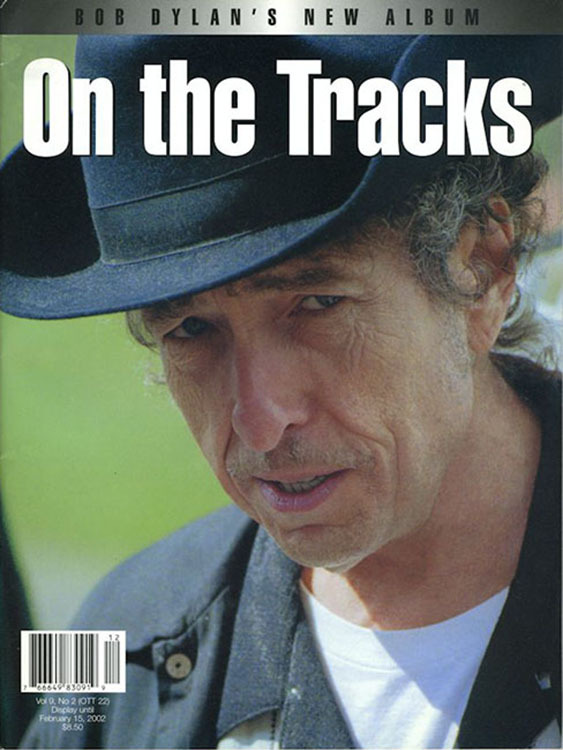 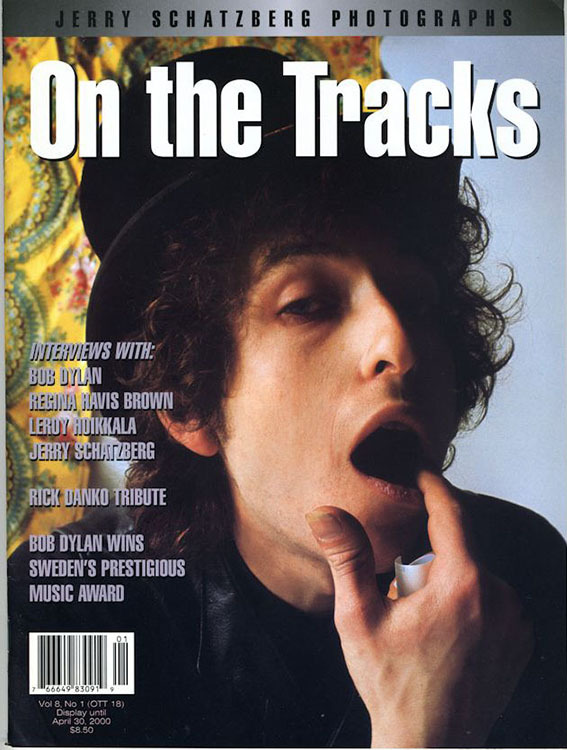 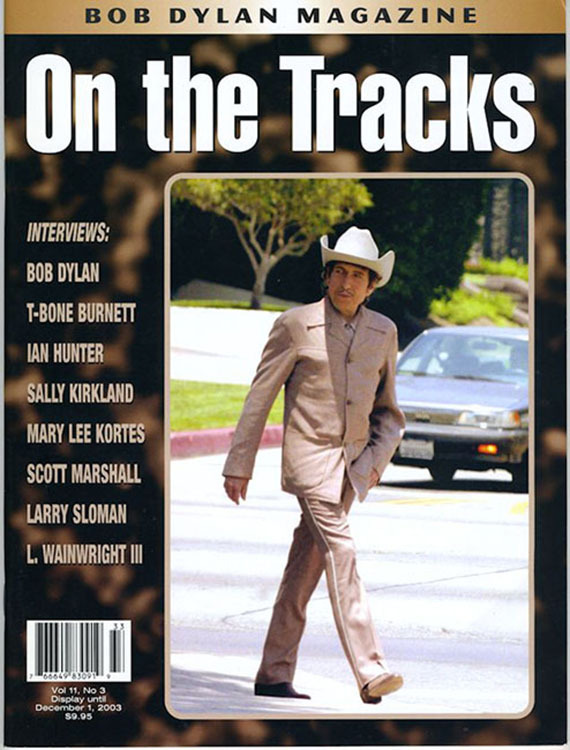 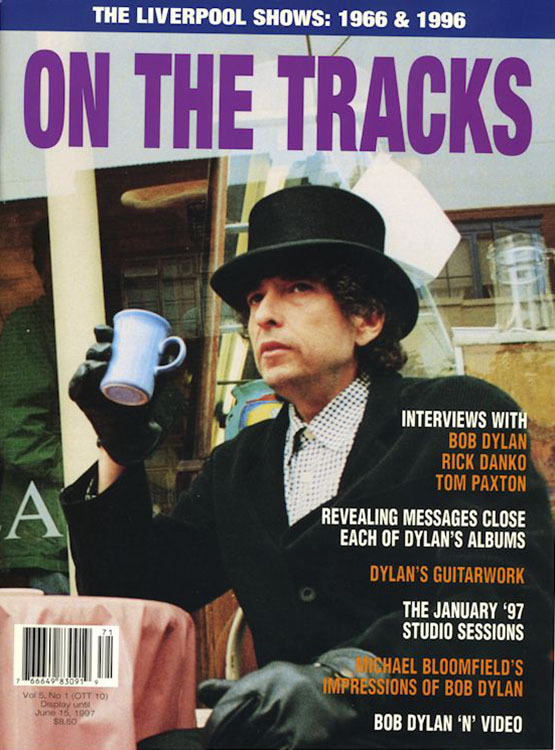 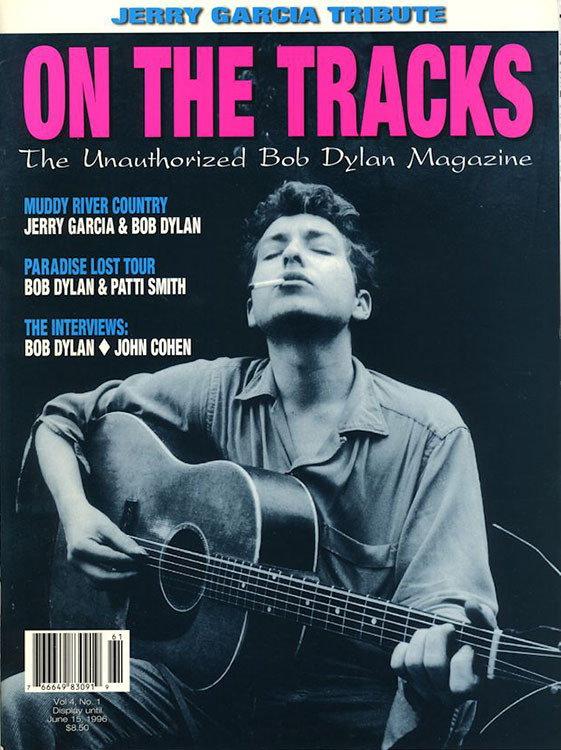 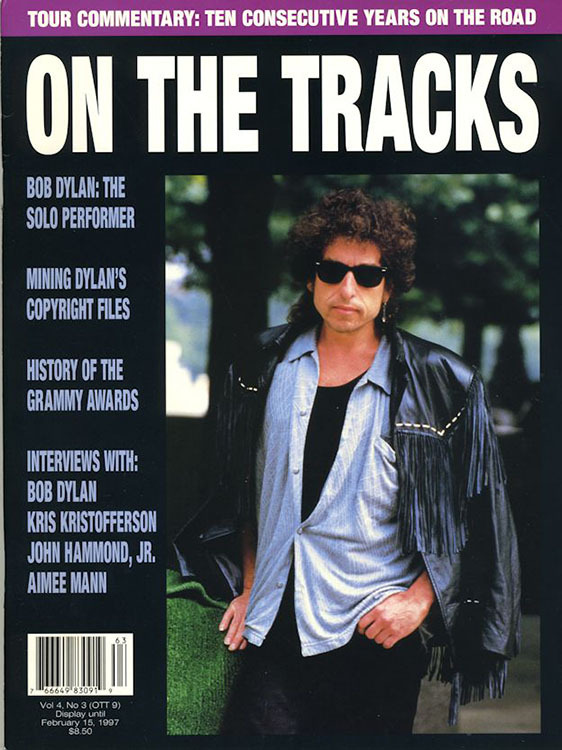 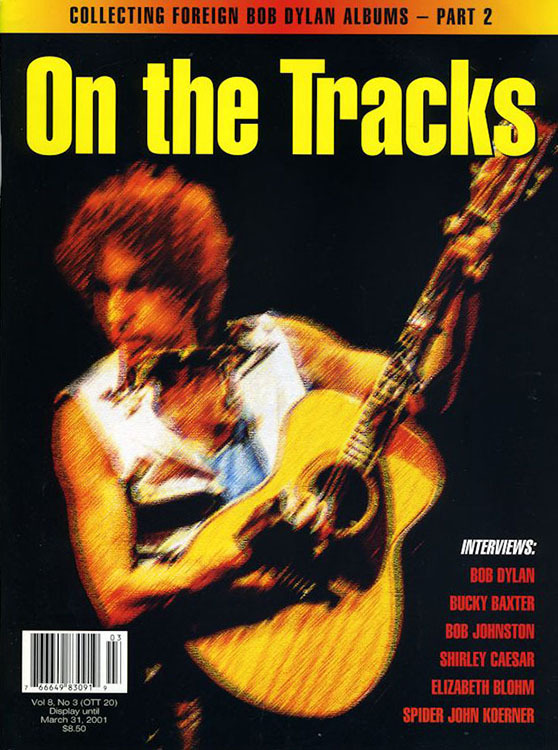 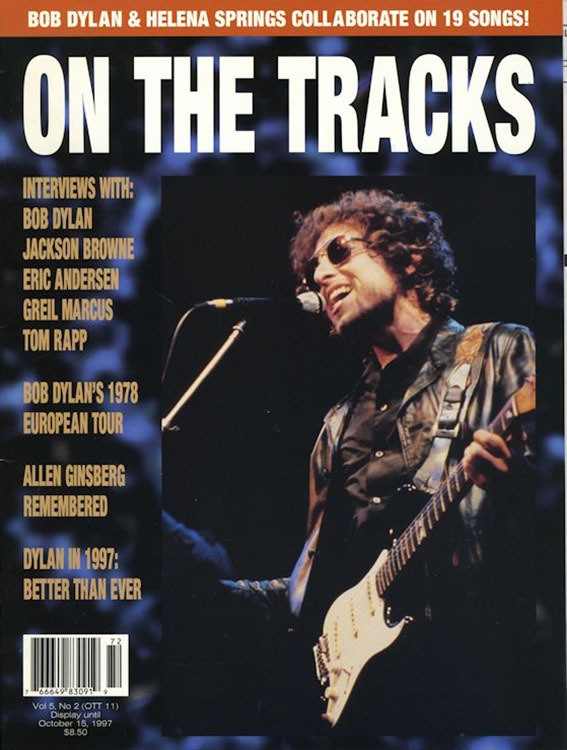 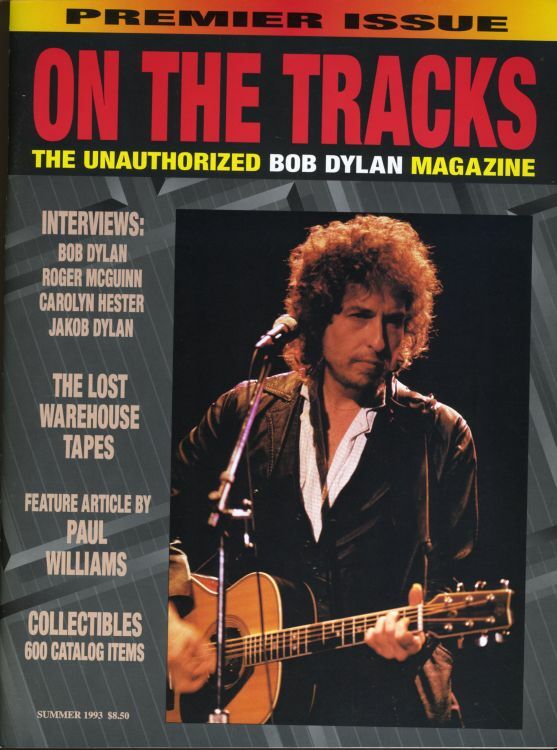 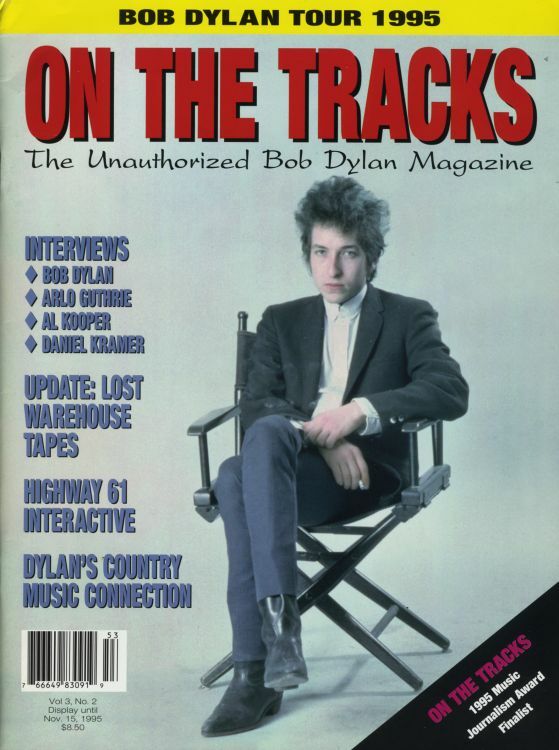 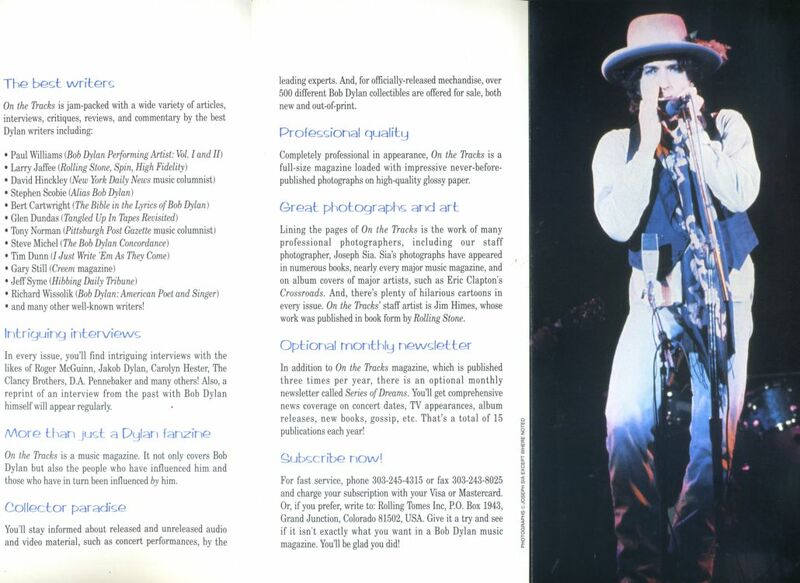 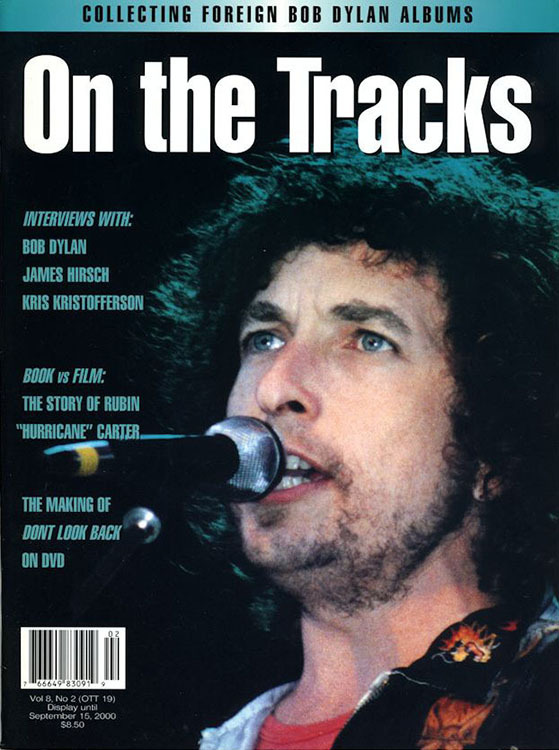 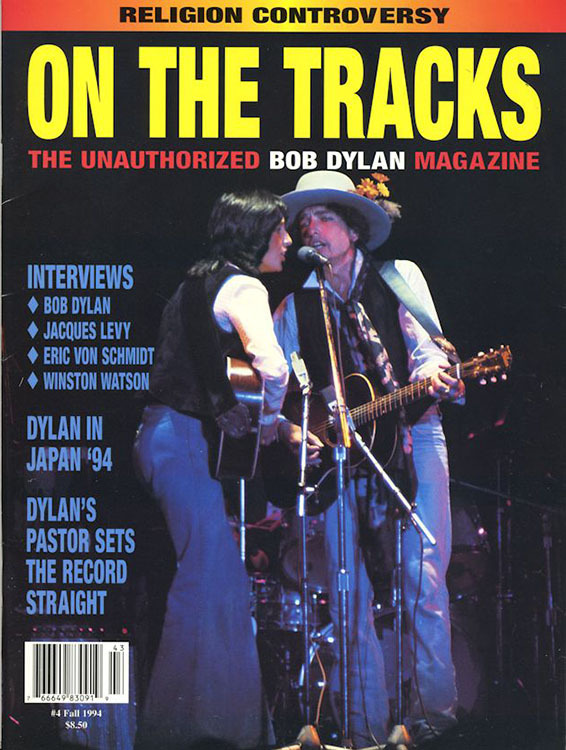 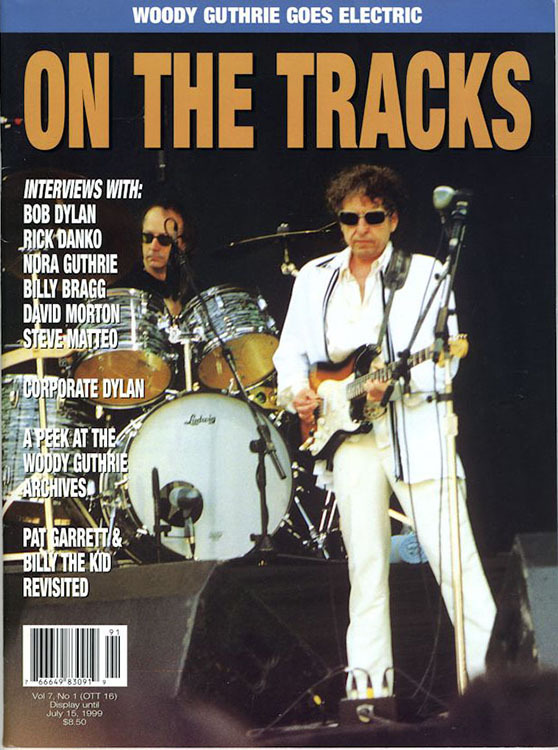 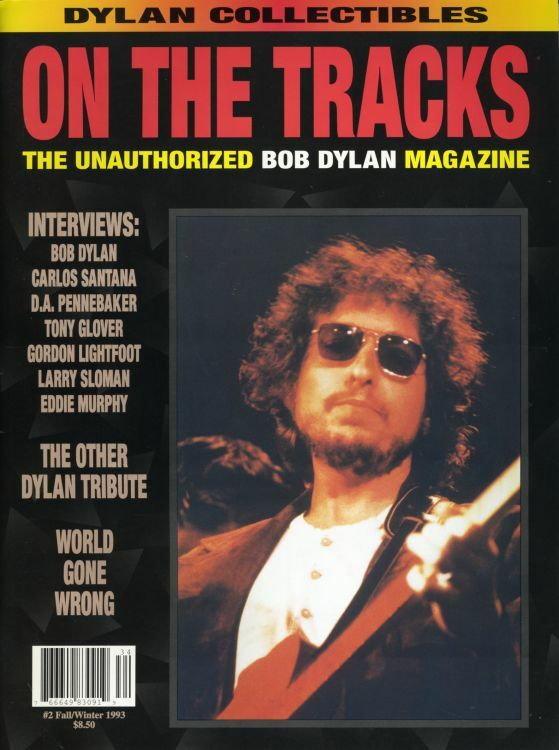 ON THE TRACKS , THE UNAUTHORIZED BOB DYLAN MAGAZINE; USA, A4. 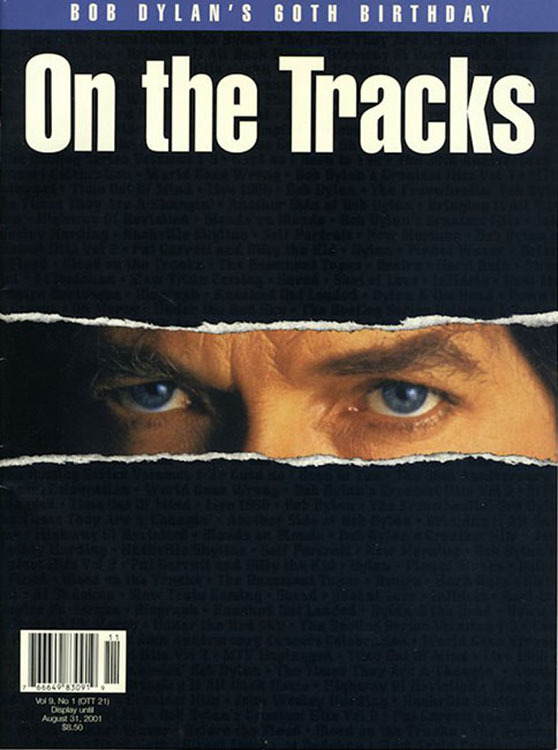 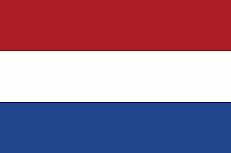 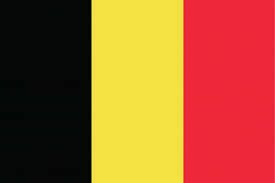 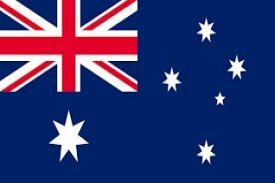 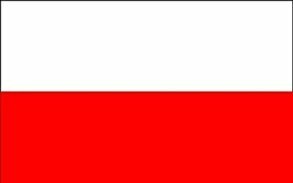 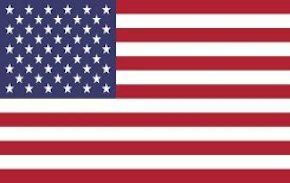 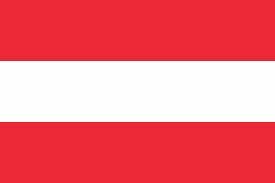 1993-1998. 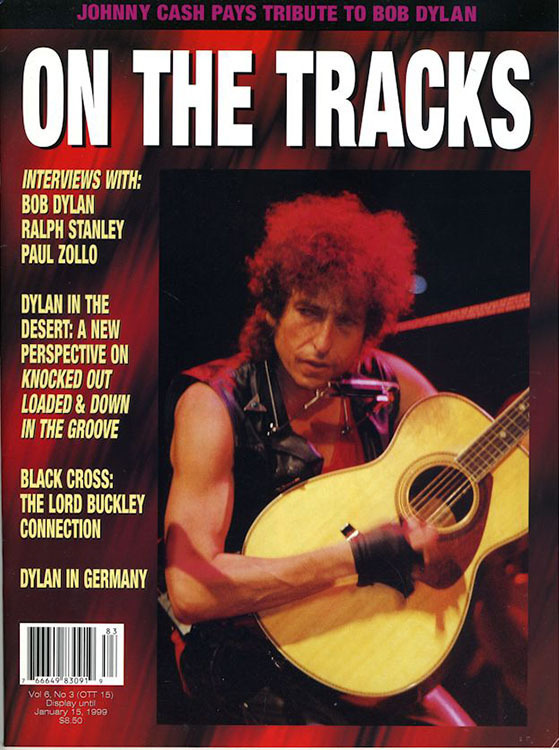 This fanzine looked more like a music magazine. 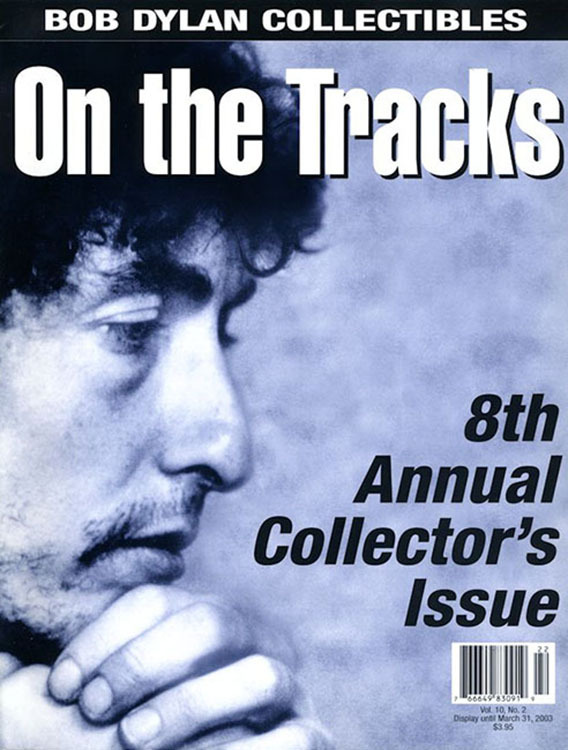 Illustrated by never-before published photographs, it was professionnaly produced on glossy paper by Mick and Laurie McCuiston from their home in Grand Junction, Colorado; their address was well known by Dylan collectors in the 90's as they also ran ROLLING TOMES, the goldmine where you could easily order any official Dylan stuff: magazines, dylanzines, books -out of print and news-, sheet music, songbooks, tour programmes, posters, but also T-shirts, buttons, cassettes, records and videos... a real collector's dream! 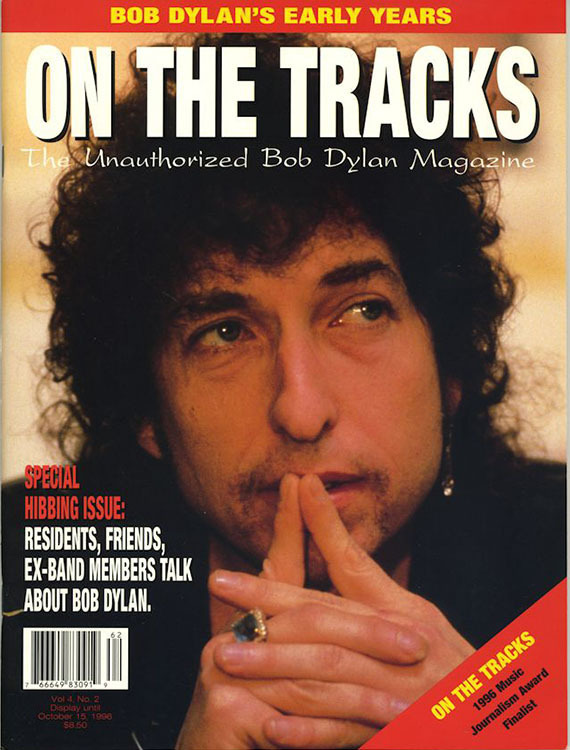 Long before Amazon and eBay, selling Dylan stuff was a then a full time job for Mick and Laurie ... Due to Mick's severe healh problems they had to stop the publication, what was done without any anouncement, while some people had paid for issues they never received... Let's forget that sad end and have a look at the great covers. 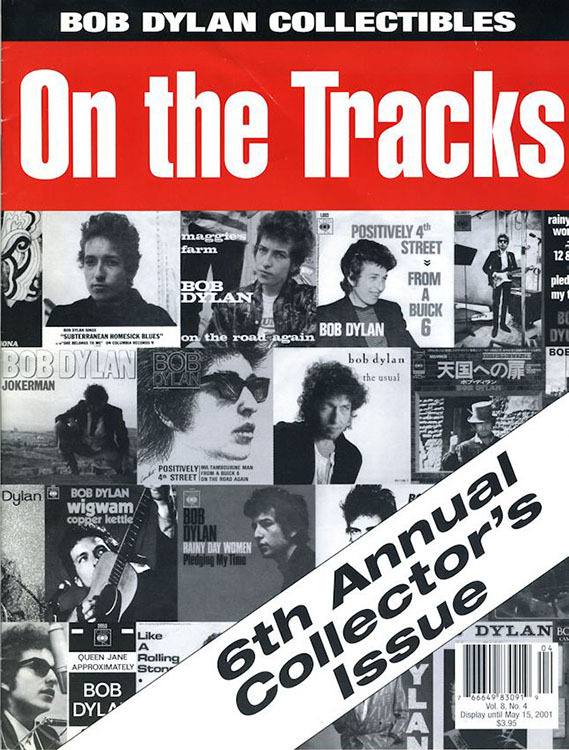 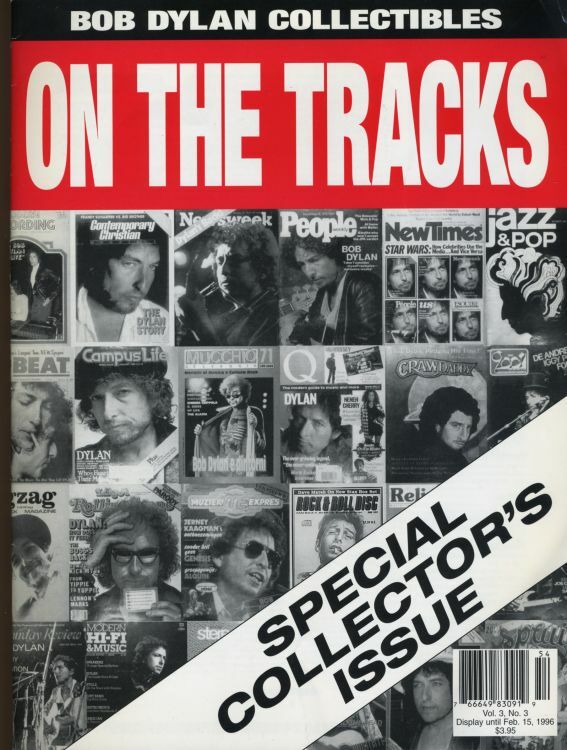 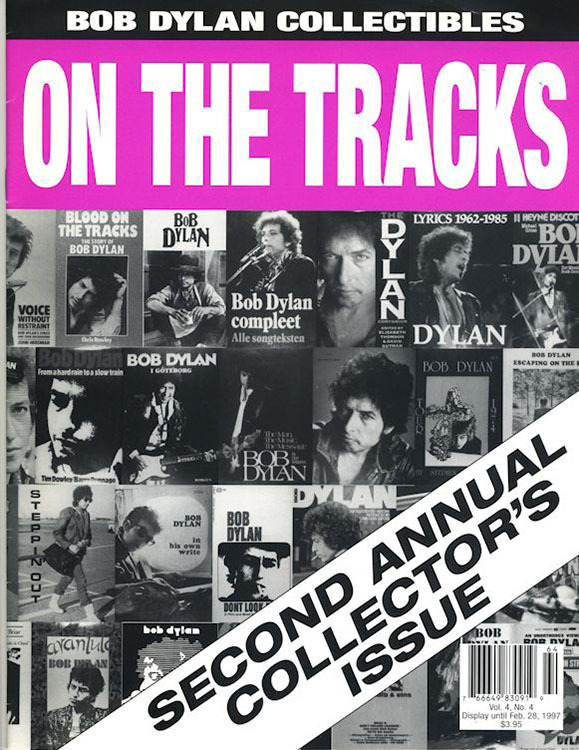 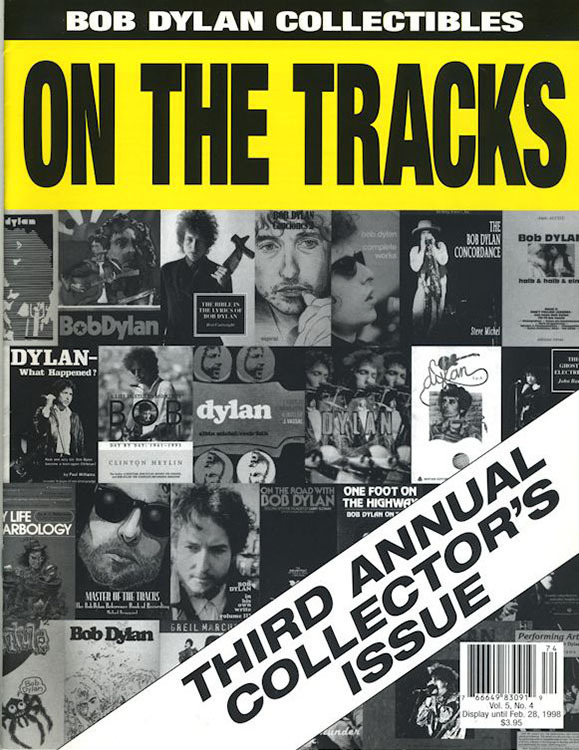 At first, there were 3 issues a year of On The Tracks, that were sent in February, June and September; then a 4th issue was sent in November, called 'Collector's Issue': it was actually just a catalogue of what was available for sale through Rolling Tomes. 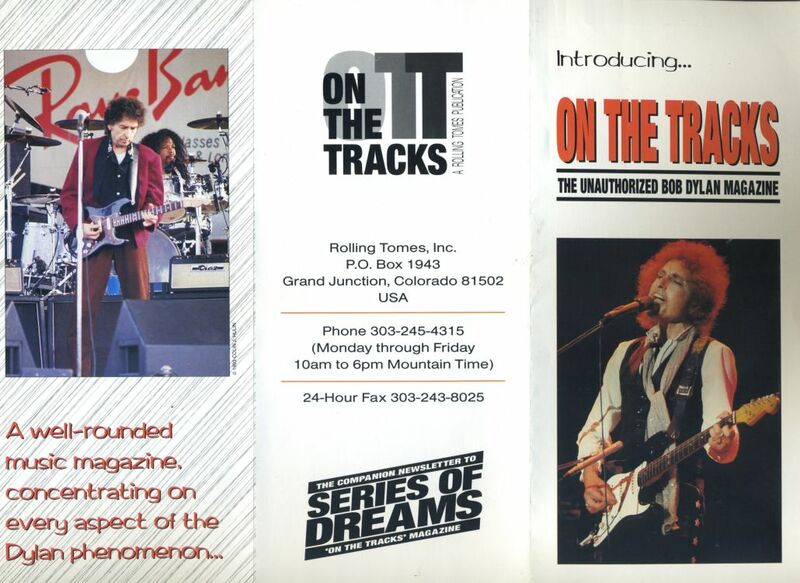 Mick and Laurie also published the newsletter SERIES OF DREAMS.